Puzzle game to train your mind. Is there a better alternative to Topple Drop? Is Topple Drop really the best app in Puzzle category? Will Topple Drop work good on macOS 10.13.4? 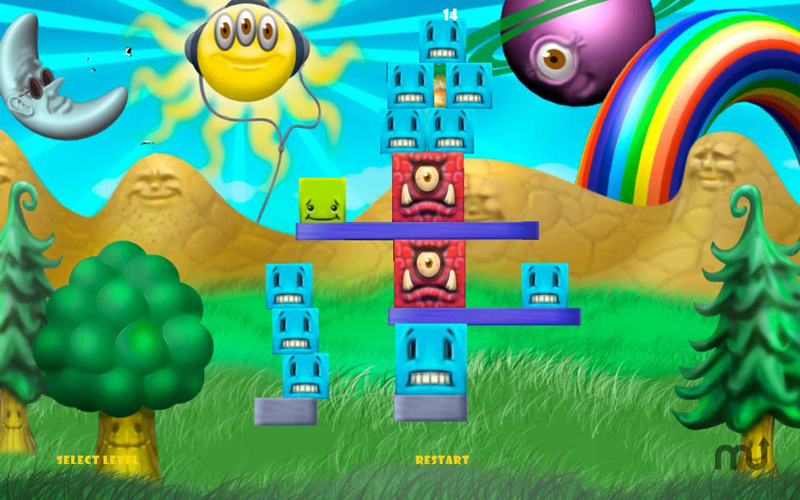 Topple Drop is a game in which you click on blue cubes and temporary (inidgo/bluish) platforms to make red cubes fall in the grass below the platforms. Try and get the red cubes (monsters) to fall off the platforms. You can delete blue cubes and temporary (indigo/bluish) platforms. You must prevent green cubes from dropping. Sound easy? At first yes, but it gets harder. Exercise your brain with Topple Drop. Note: The free version is currently at 1.0.3. The version available for purchase is 1.2.0. Topple Drop needs a review. Be the first to review this app and get the discussion started! Topple Drop needs a rating. Be the first to rate this app and get the discussion started!